One of the biggest headaches in business is travelling between sites with your laptop, ultrabook, or pro tablet, and finding that the document you sent to print has gone to the wrong printer. Windows 10 offers a solution to this for all the printers you currently have installed. Opening Settings > Devices > Printers & scanners will first present a list of your installed printers with a helpful Add a printer or scanner button to add a new printer. Scroll down however and you will see a check box called Allow Windows to manage my default printer. 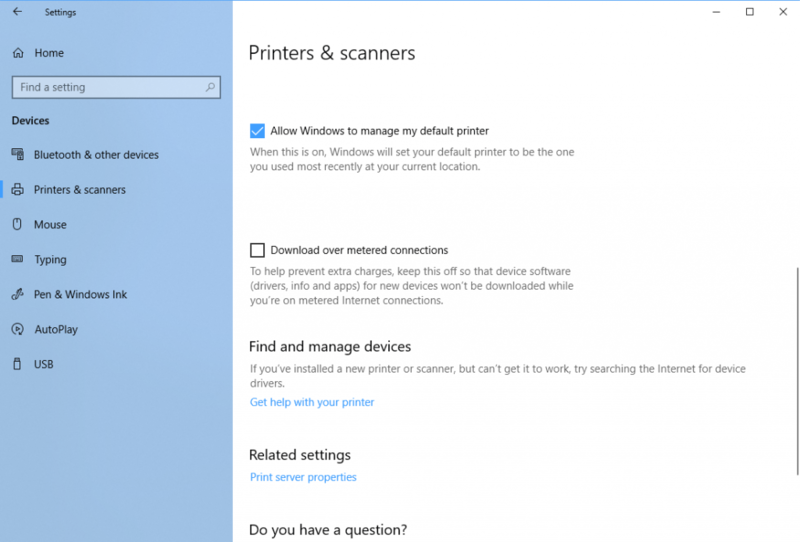 With this option checked, Windows uses your information about which wired or Wi-Fi network you are connected to, and your location to make sure that the default printer is automatically changed when you start the PC, so that you are always printing to the correct device.